WMBC Mission: To preserve and enhance non-motorized trail access in Whatcom County through stewardship, education, and advocacy. 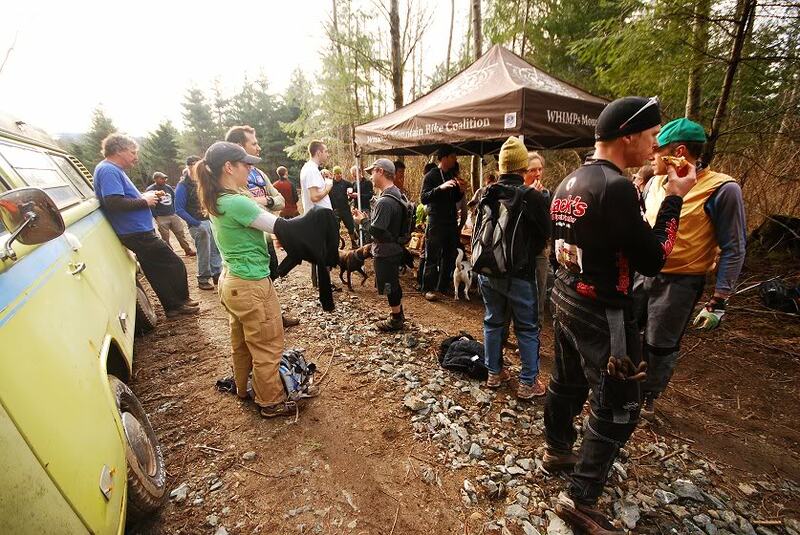 The Whatcom Mountain Bike Coalition (WMBC) is a federal non-profit, 501(c)3, organization. We work with many diverse groups such as land managers, elected officials and educational institutions to promote continued and expanded access for mountain biking and cycling. Every year the WMBC coordinates hundreds of volunteers amounting to thousands of volunteer hours for the trails in Whatcom County. We also coordinate the maintenance and construction of the Civic Field Dirt Jump Park. We have a strong youth involvement and work with the Bellingham School District, Lummi Nation Tribal School, Mt Baker School District, Ferndale School District, Boy Scouts of America for Eagle Scout Projects, among others. The WMBC maintains a Recreational Use Agreement with the owners of Galbraith Mountain and is responsible for all trail maintenance and construction on Galbraith Mountain. All trail operations are conducted within the guidelines established by the land-use agreement between the WMBC and the land owner Polygon Corporation.